Getting to Neuchâtel in Switzerland is easy by public transportation (trains and boats) and car. The city is within easy reach of Geneva, Zurich, Basel, and Bern Airports with good rail and road connections. Neuchâtel (Neuenburg), capital of the similarly named canton, in Switzerland has excellent transportation links to the rest of Switzerland. The road and rail networks are very well developed to provide fast transportation to other major Swiss cities including Geneva, Lausanne, Biel/Bienne, Bern, Zurich and Basel. Fast connections to Paris on TGV trains are possible while many regional trains cross at Neuchatel’s railway station. Neuchatel is also less than two hours by public transportation from airports in Geneva, Basel, Bern and Zurich. Boats on Lac de Neuchatel provide romantic and sometimes also very useful links. Neuchâtel (Neuenburg) is in the northwestern parts of Switzerland with the city located between Lake Neuchatel (the largest lake entirely in Switzerland) and the Jura mountains. Visitors can enjoy beautiful views of the lake and the Swiss Alps from many transportation routes leading to Neuchatel. Neuchatel is mostly French-speaking but German is widely understood. Good roads make driving to Neuchatel generally easy, especially from the south where the Autoroute A5 provides fast transportation from its intersection with the A1 near Yverdon-les-Bains. 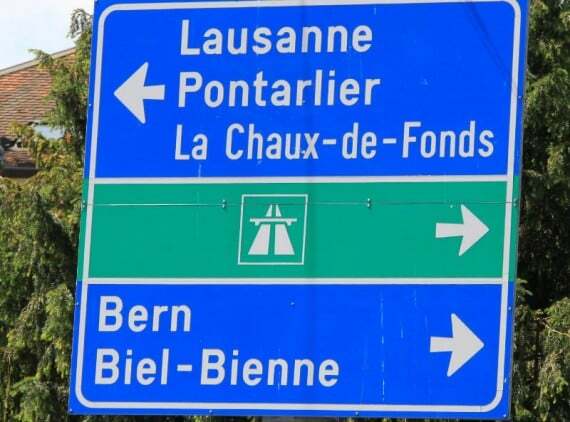 Driving from the north and east require some short stretches of non-autoroute travel with bottlenecks possible in Biel / Bienne where the bypass is often not optimal for drivers heading towards Neuchatel. Taxi2Airport and Suntransfers give easy online quotations but transfer services, even pre-booked shuttles are rather pricey. Book Tours and Transfers at GetYourGuide. Neuchâtel does not have an airport but cheap flights are often available to Geneva (GVA) or Basel (BSL) airports with many intercontinental arrivals at Zurich Airport (ZRH). Bern-Belp (BRN) airport is the closest to Neuchatel but offer very limited flights. All four major Swiss airports are within less than two hours from Neuchâtel by public transportation. 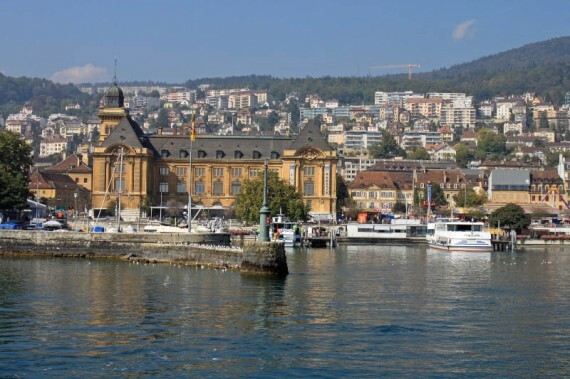 See Cheap Flights to Neuchatel for detailed information on reaching Neuchatel by public transportation or car from Geneva, Basel, Bern, or Zurich airports. Neuchatel has very good railway connections to the rest of Switzerland. The daily high-speed TGV service to Paris was cancelled in December 2013 but fast connections to Paris are still possible via Frasne. Inter-City (IC) trains provide direct links to amongst others Geneva and Zurich Airports, Lausanne, Biel / Bienne, and Yverdon-les-Bains. 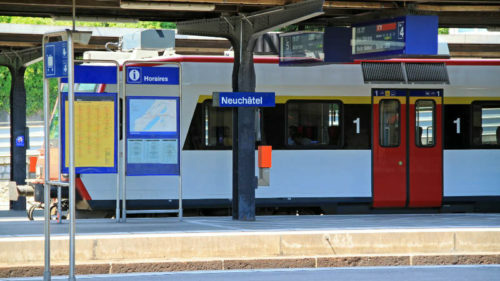 Neuchatel is also a major hub for regional trains with connections to amongst others Bern, Murten (Morat), Fribourg, Yverdon-les-Bains, La Chaux-de-Fonds, and Biel / Bienne. Timetables for all Swiss public transportation can be checked at Swiss Railways and tickets may be bought online for most long-distance trains. Neuchâtel is a stop on the important railway line (IC5) that runs to the south of the Jura Mountains in northern Switzerland. Swiss Railways Inter-City (IC5) trains pass through Neuchatel usually twice per hour in each direction. All southbound IC5 trains stop at Yverdon-les-Bains but then one train goes to Geneva Airport (with stops in route usually at Morges and Genève-Cornavin) while the second train terminates at Lausanne (with easy onward connections to Geneva Airport or alternatively towards Vevey, Montreux, and the Rhone Valley in Valais). The northwards bound IC5 trains from Neuchâtel all stop in Biel / Bienne (change for Basel), Solothurn, Olten (change for Basel or Lucern), and Zürich Hauptbahnhof with one train continuing to St Gallen with further stops en route at Zurich Airport and Winterthur. Tickets must be bought before boarding any train in Switzerland, even if the ticket is bought on a smartphone. Online and station-bought tickets cost the same in Switzerland. Neuchatel is an important railway hub for regional trains in the Three Lakes Region with many trains running on the northern shores of Lake Neuchatel and Lake Biel, regional trains going into the Jura Mountains, to Murten (Morat) and Fribourg (Freiburg), and many connections available to Bern. Bern – around three per hour with Regional Express (RE) trains taking 30 to 40 minutes and S-Bahn S5 taking 50 minutes. 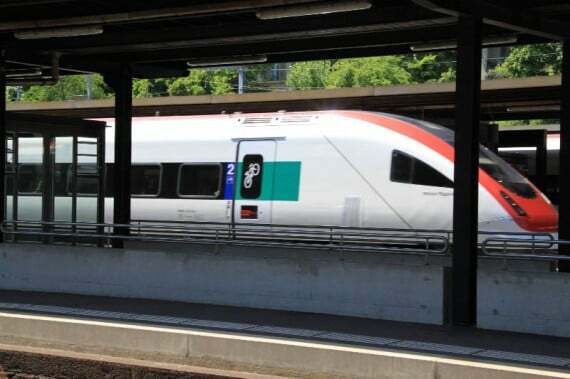 Fribourg – hourly direct train taking 50 minutes, stopping en route in Murten / Morat (24 min). La Chaux-de-Fonds – twice per hour taking 30 to 40 minutes. Many more trains are available to some of these destinations but requiring train changes. 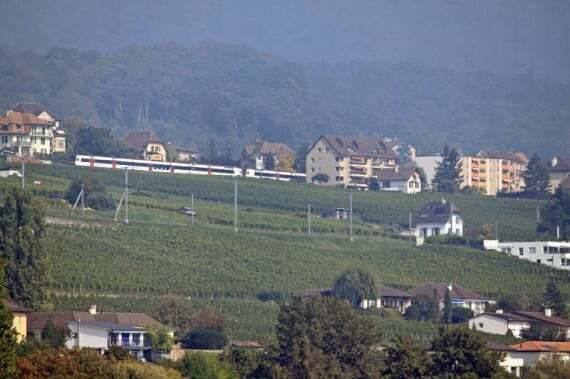 The daily direct TGV train from Neuchatel to Paris has been cancelled after the Bern-Paris TGV train moved its route to the railways via Basel in December 2013. However, Paris is still only four hours from Neuchatel – regional express trains (or buses) connect Neuchatel and Frasne with good connections to the Paris to Lausanne TGV trains. Paris to Neuchatel via Frasne currently takes just over four hours. This fast service is available three or four times per day with many further connections possible (taking closer to five hours) via Geneva or Basel. These pleasure boats are more aimed at tourists but provide useful transportation while sightseeing nonetheless. Boat excursions are available on all three lakes of the Three-Lake district: Lac de Neuchâtel (Neuenburgersee), Lake de Morat (Murtensee) and Lac de Bienne (Bielersee). For more details see Navigation.